This morning I walked my dog at our usual spot, a bit later in the morning than usual - I normally walk my dog at the crack of dawn, before there's proper light. Before leaving home I thought to myself, 'should I carry my camera?' - na... 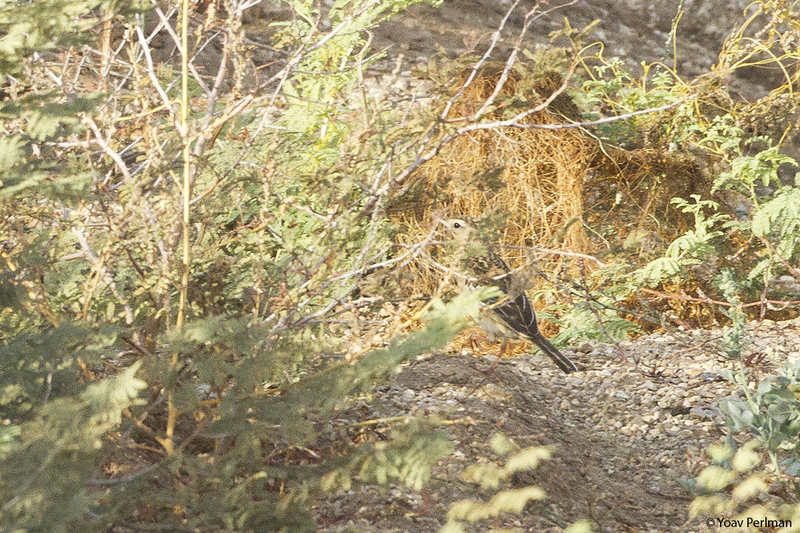 Shortly after we started walking I saw a large passerine descend down from great altitude. It did not call but I instantly recognised it - Richard's Pipit! I managed to see it on the deck for a few seconds, and was eager to document it somehow. Failed to digibin it, so tried to sound record it with my phone when it takes off. It soon did, uttering a couple of weak calls, and circled around me for a couple of minutes. The poor sound recording is in my eBird checklist here. It landed again, then took off again - it was very restless at this busy site, flying between the houses. 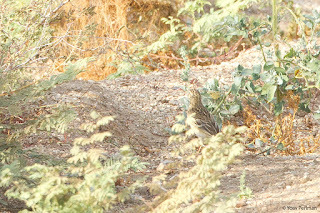 I alerted Alon, a birder who lives nearby, and ran off home with Bamba to get my camera, some 300 meters away. Before running back I had a look out from my garden and saw it circle again - on the garden list too! Then Alon joined me and we watched the bird for several minutes. Still totally restless and flighty, so we let it be. Though Richard's Pipit is only a scarce migrant in Israel, and now is its peak time of year, I am super chuffed to find it on my patch, in an urban setting. My neighbourhood is largely under construction, so there's a bit of rough ground left, more suitable for a pipit. 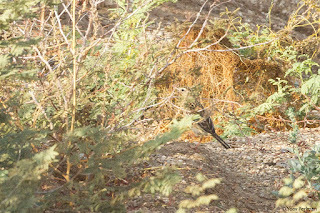 My first decent patch bird in the month I'm here. That Alon saw it too added to my enjoyment of the mini-discovery. Yesterday was THE day for Lesser Spotted Eagle migration. More than 40,000 passed over Israel, almost half of the estimated world population in one day! I assume that about 30,000 passed over my house, with some breathtaking scenes, but of course I was away yesterday. 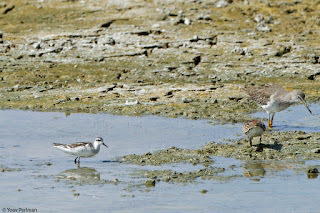 I had meetings at Ma'agan Michael, so again I spent a couple of very hot hours birding in the fishponds and along the beach before the meeting. 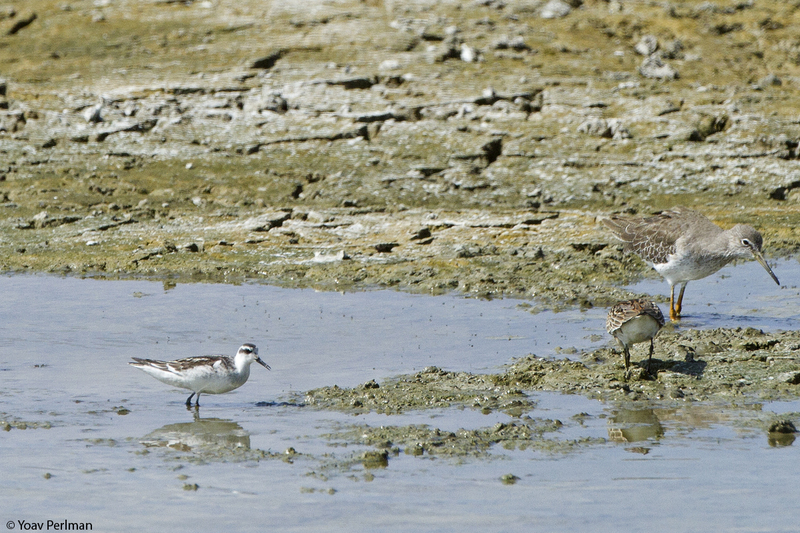 Because of the heat, passerines were few, but shorebirds provided some relative quality. There was a Red (Grey) Knot on the beach, and a Red-necked Phalarope in an excellent empty fishpond. Both have been there for a week now. 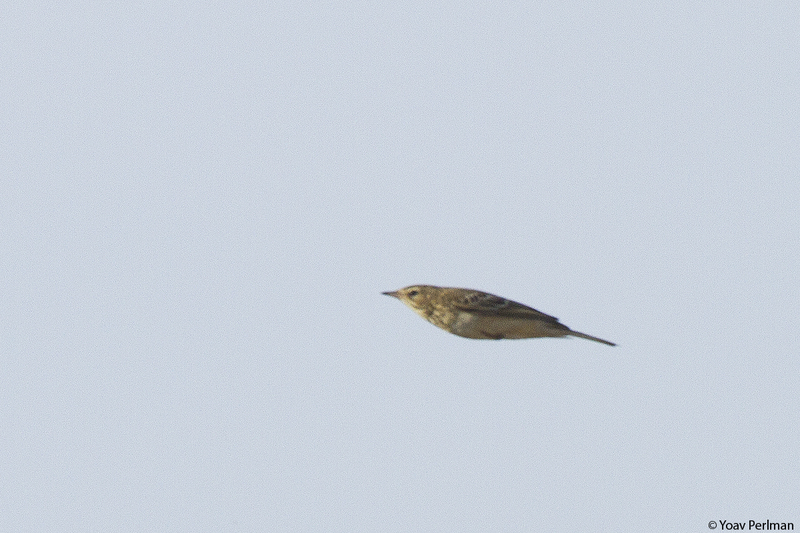 Other birds of note were a Corncrake I flushed while driving around, and 3 Citrine Wagtails. My full eBird checklist is here.